I’m literally losing mind. I could have 20 planners and I still probably couldn’t keep up with everything I need to get done these days. 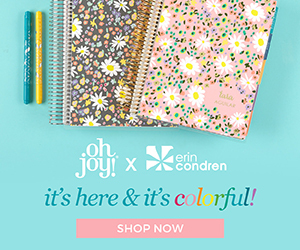 I invest a lot of time and money in to my planner supplies (honey, if you’re reading this, planner supplies are actually free) – so I don’t want to use something gorgeous and expensive to chicken scratch a quick list in my planner. and so I did, and now here you are – so you may as well enjoy it too. I printed out 3 pages and went ahead and cut them – now they are stashed in my desk drawer for a quick grab – I just saved the lives of planner stickers everywhere.